There are buds on the trees. Daffodils and tulips are emerging. The grass is getting greener! Geese are returning after the long winter. I LOVE spring! It’s a time for new beginnings and fresh starts! It’s a time for change. And change is good! Are you ready to make some changes and get working on your own transformation? I started my journey about 2 1/2 years ago, and it wasn’t just a physical transformation…I changed inside and out! I have more energy and self esteem than when I was in my 20’s! My 4 kids get the best of me now, instead of the last of me. I’m a better mom, friend and wife as a result of this lifestyle change. And my kids are eating healthier foods, my husband has undergone his own transformation as have many of my friends and family members. One seed planted an entire garden, and it just keeps growing! I’d love to invite you to join me, on April 20th, to start your journey, or continue a journey that you’ve already started! I’ll provide daily support and motivation, share healthy recipes, and help you stay on track to reach your goals. The group will provide the accountability that is sometimes missing when you join a gym, or try to get results on your own. You’re not alone! I’m here to help you every step of the way! These groups WORK! Fitness + Nutrition + Support = SUCCESS!!! DEADLINE TO JOIN IS SUNDAY APRIL 12TH! Check out the options below, and let’s you you started on your garden! 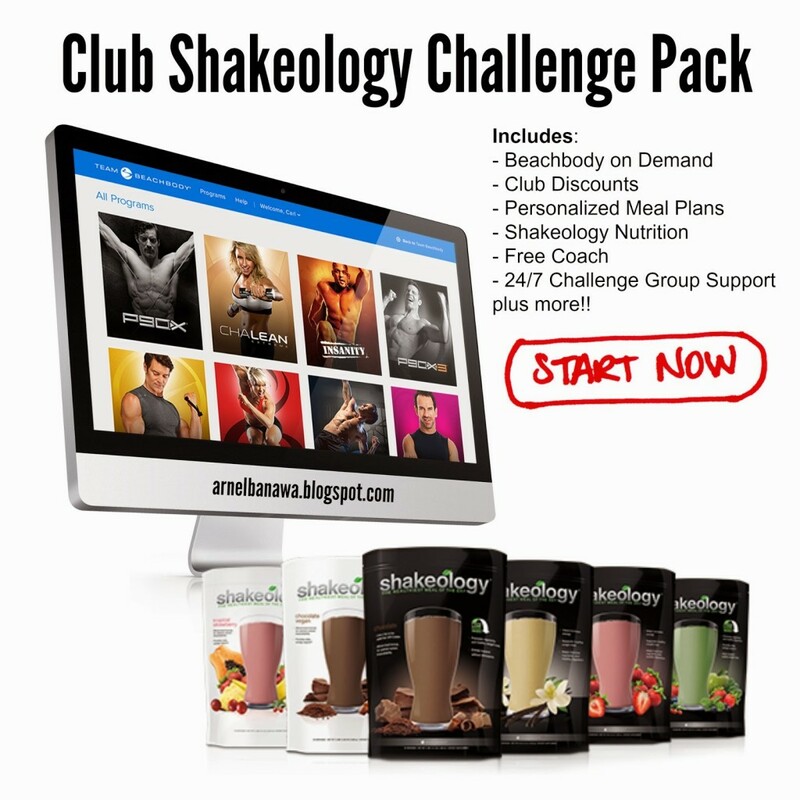 Get started with a challenge pack – all of the tools you’ll need to get the results you want! You’ll get a new workout program of your choice (and I can help you pick), Shakeology, discounted shipping PLUS a 30 day FREE trial of *Beachbody on Demand, all at a discounted “bundle” price! 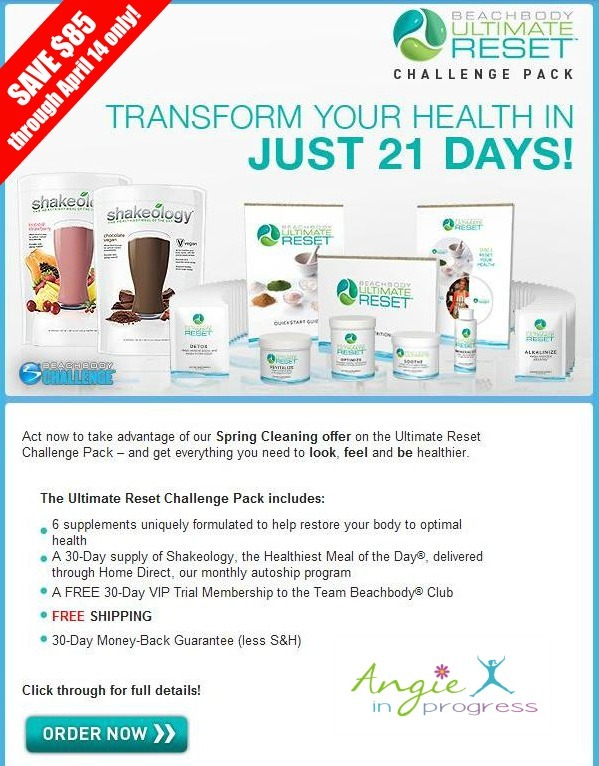 *If you get the Beachbody On Demand Challenge Pack, you get the first 3 months access for FREE! The Ultimate Reset is a comprehensive, no-starvation, inner-body tune-up that offers much more than the typical cleanse and detox programs on the market. Click HERE to watch a short video about the Ultimate Reset. I just have a few spots left! Previous PostPrevious How to get the stink out of your workout clothes! Next PostNext Beachbody on Demand – Free for 30 Days!